The Mini Flypack features our unique lift off lid with dual HD LCD displays to reduce glare. 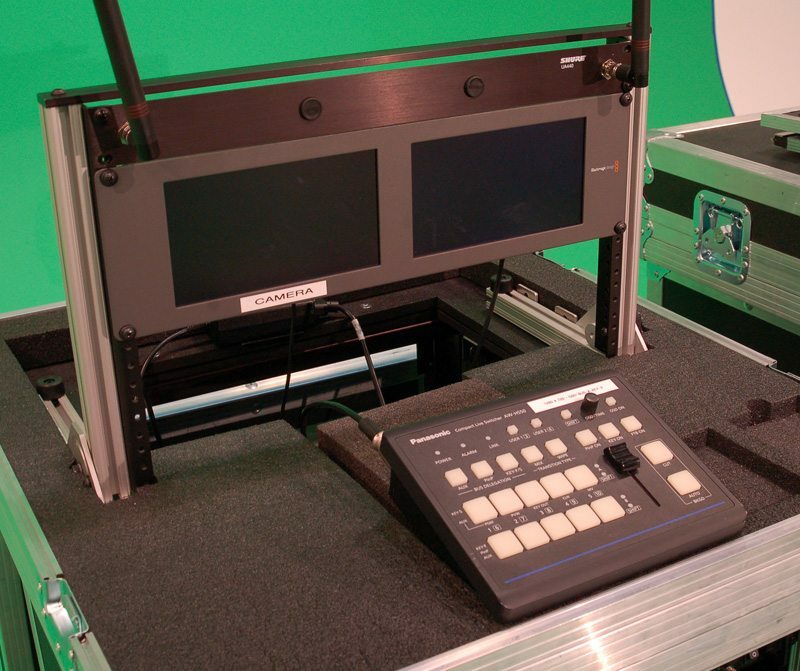 Panasonic AW HS50 HD Switcher and 2 Ki Pro recorders are integrated for flawless image recording. Shure wireless audio and a UPS 1 hour battery backup is included. 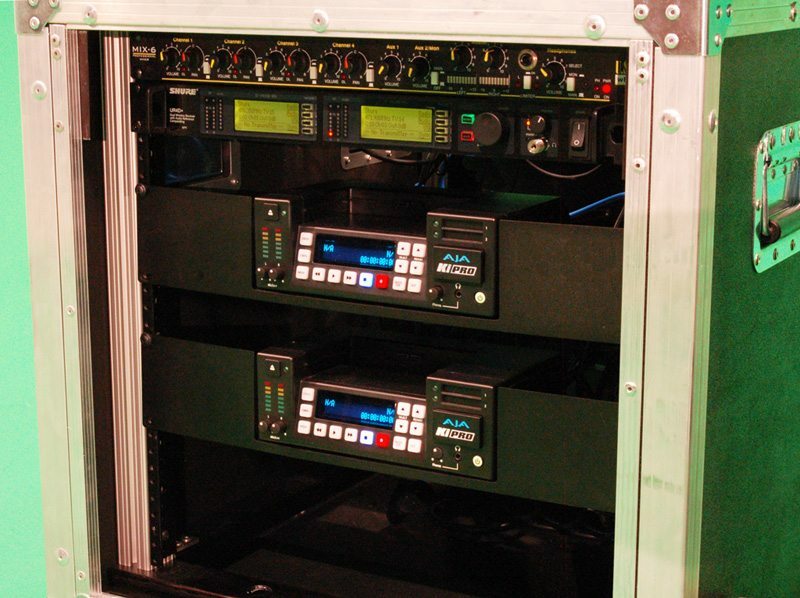 Easy access rear panel routing and patch panels give maximum flexibility on location. 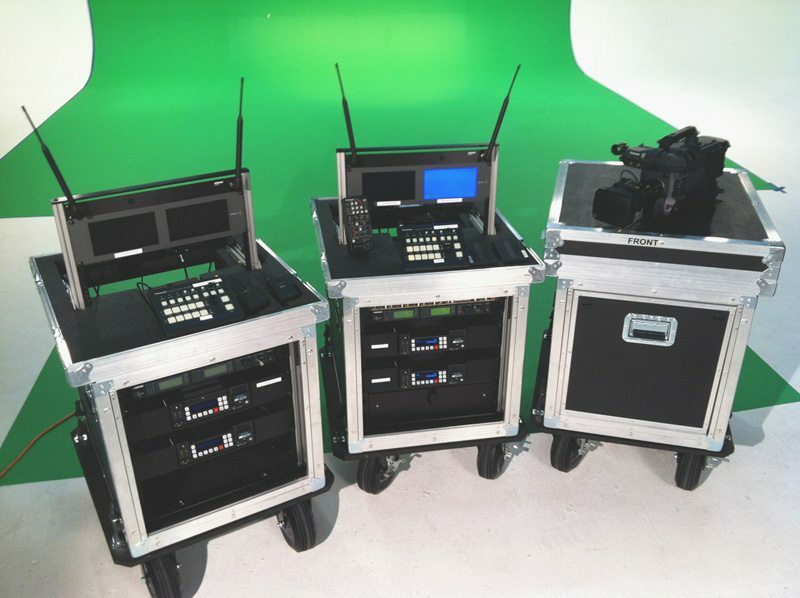 Everything you need for 2 or 3 camera mobile HD production is here. Our Mini Flypacks are mounted on a rolling base with easy rolling ballon wheels. Flip the 4 clamps off the rolling base and pick up the entire unit to gain added flexibility in transport or setup. All components are shock mounted.